The Anglo-German, all-female team of Hannah Jenner and Anna-Maria Renken have kept up a ferocious pace since announcing their partnership in the double-handed Class40 Global Ocean Race 2011-12 (GOR). 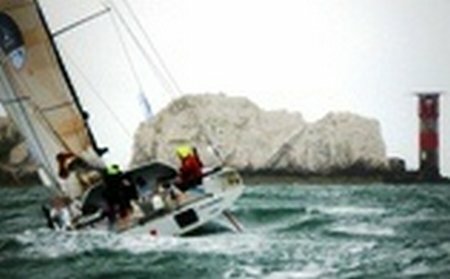 Securing a boat, undertaking the GOR’s 2,000 mile qualifying voyage and completing their first race together has been crammed into three hectic months and with just under 100 days to the start gun in Palma, Mallorca, on Sunday 25 September, Jenner and Renken are keeping the pressure on. The duo first made contact last October when Jenner and Renken were planning individual GOR campaigns and the pair subsequently decided to collaborate, officially entering the race shortly before Christmas. In early March, Jenner and Renken secured the charter of Peter Harding’s Owen Clarke Design Jaz MkII Class40, 40 Degrees, launched in Cape Town in 2009.